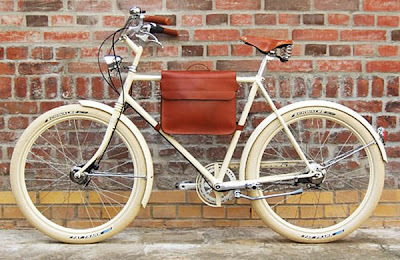 So in the quest for the perfect bike for Mrs. Kyality, which is looking more and more like an Electra Townie, I've stumbled upon a slew of beyond hip retro bicycles. The two that have stood out the most are both from European companies: Retrovelo (above) from Germany and Pashley (below) based in the UK. Mrs. Kyality and the Kyality Kids outdid themselves for Father's Day this year. Check out the goods they delivered. I was fully covered with everything from duds to reading material from music to a movie... another holiday in true Kyality style. They scored me the handy dandy How Tie™, which I can't wait to wear (instructions included). As for reading material, I got Frank Miller's classic graphic novel: Batman: Year One, the prequel to his legendary take on the Caped Crusader. And finally, I scored the rockumentary: I Am Trying to Break Your Heart, which obviously counts as both music and a movie. This amazing black and white doc, directed by Sam Jones and produced by Helvetica and Objectified director Gary Hustwit, chronicles the beyond-eventful creation of Wilco's amazing Yankee Hotel Foxtrot album. It is a must-see for any music or doc junkie. Click here to see them up close. 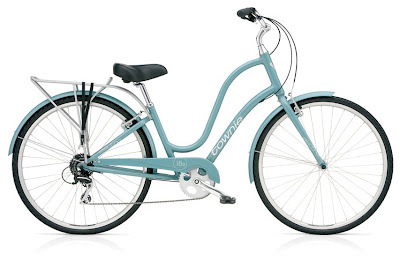 So, will somebody please help me convince Mrs. Kyality that she should get this bike? We've been investigating ladies bikes for a few months now and we've hit a bit of a brick wall. Growing up in a bike family, you kind of know that a decent bike is definitely gonna be in the $400+ range. Otherwise, you’re relegated to a big box solution at the Targets of the world. 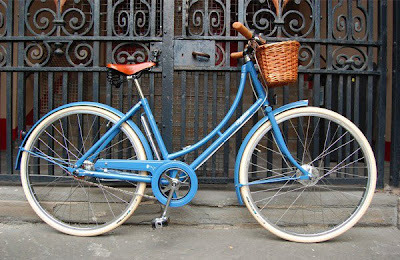 But when searching out a stylish women’s bike for a gal/mamma who hasn’t ridden for a long time and isn’t so sure if a new bike would even be ridden for more than a few times a month, a $400 - $700 price tag can be a definite barrier of entry. I just think this Electra Townie Euro 8D in Cadet Blue would be a rad rod for the Mrs. to cruise on despite it being bucks deluxe. 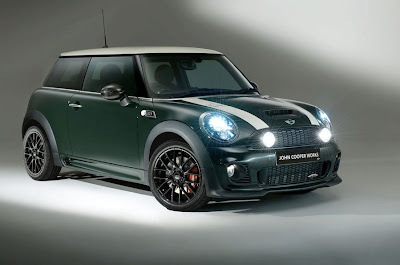 MINI just released this Limited Edition JCW celebrating 50 years of the Cooper Company winning the F1 Championship. I'm totally digging this true British racing green and blacked-out rims. I could rock this car for sure and... man, do I miss my bi-xenons.